Italian goalkeeper who began his professional career in 2006 with Arsenal and played for the Italian under-21 national team. He began his youth career in Italy with Atalanta in 2003. 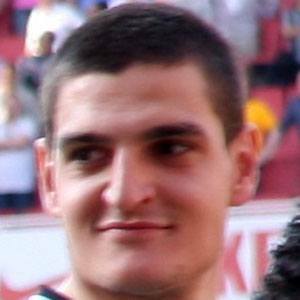 He signed with Premier League Sunderland in 2013. His father is Michelangelo Mannone. He played for Arsenal manager Arsene Wenger.